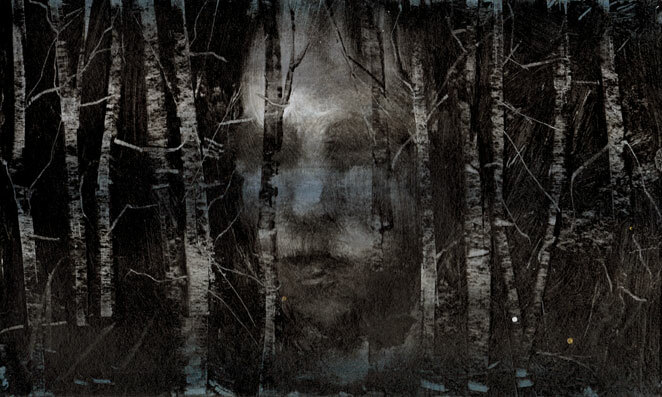 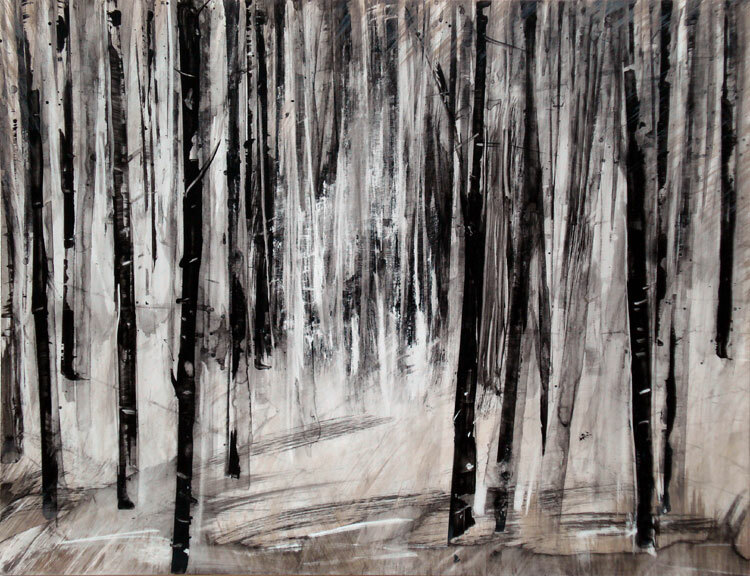 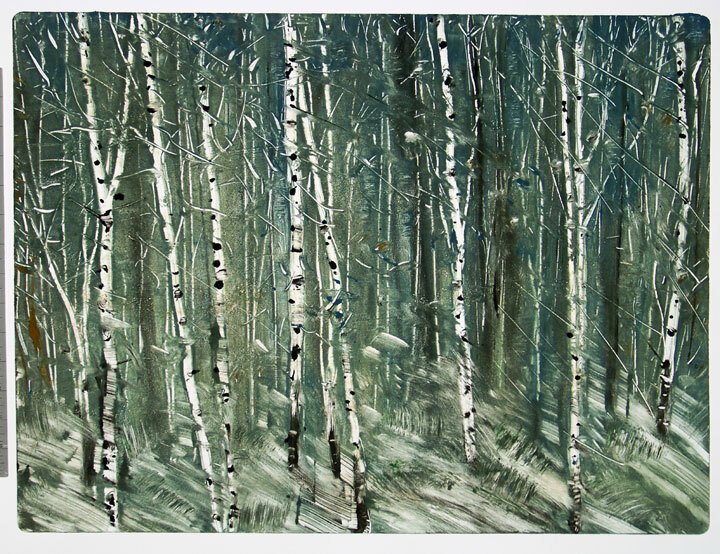 Dense Forest, mixed media on monotype, image 14” x 18”. 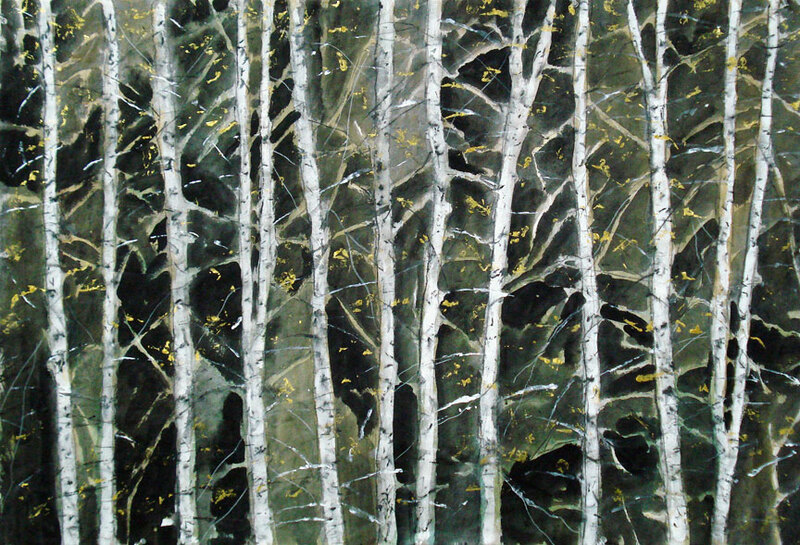 Collection Kathleen and Ted Hayek. 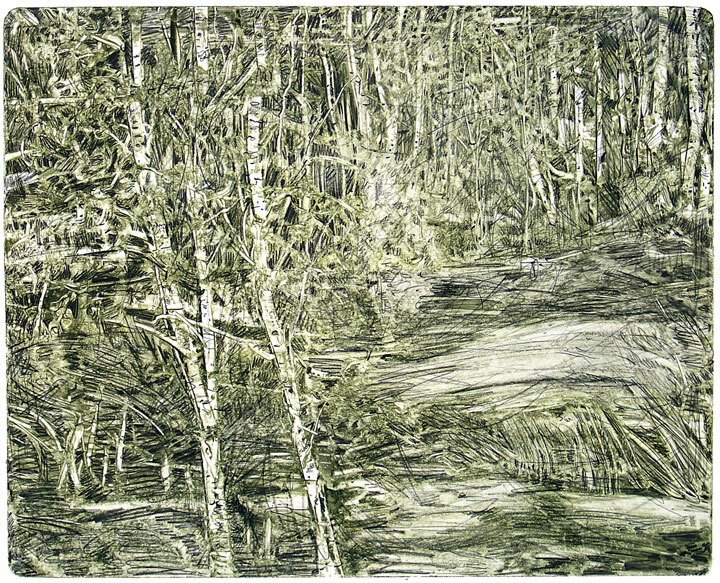 Deep Forest, monotype, image 14” x 18”. 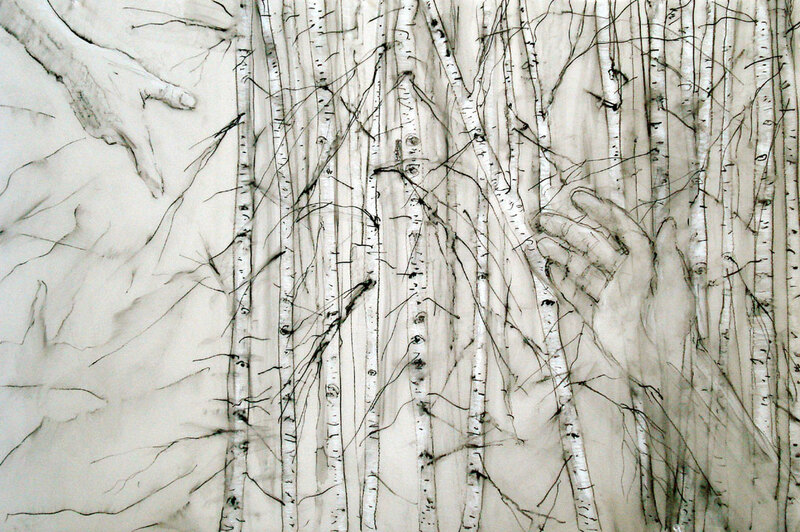 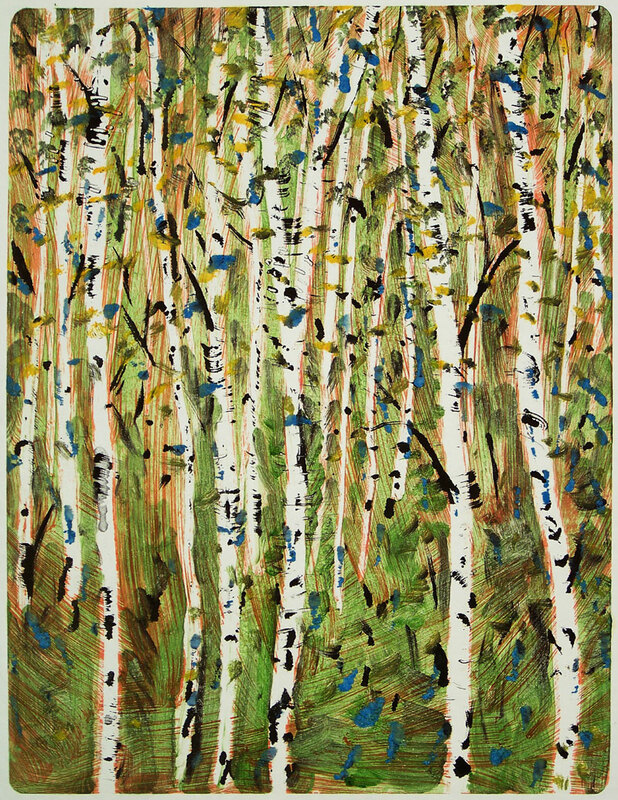 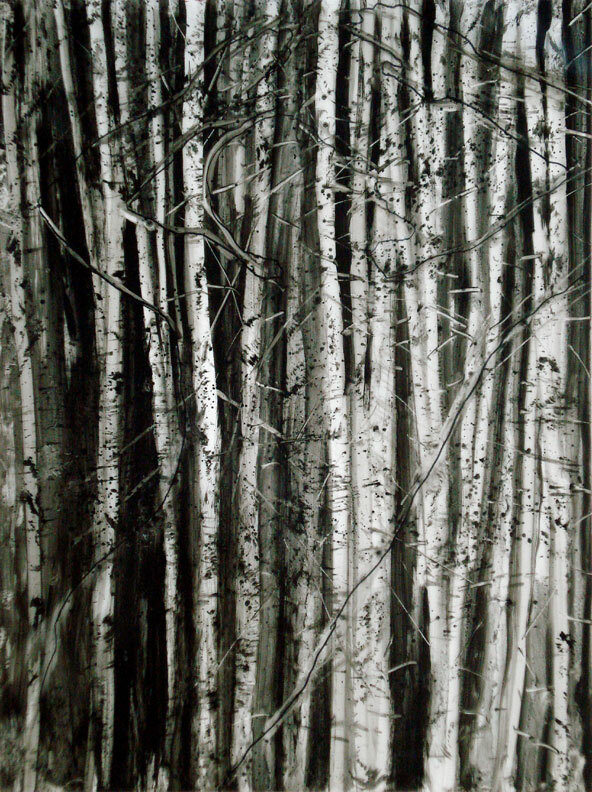 Fall Birch, monotype, image 14” x 18”..
Rhythmic Birch, monotype, image 14” x 18”. 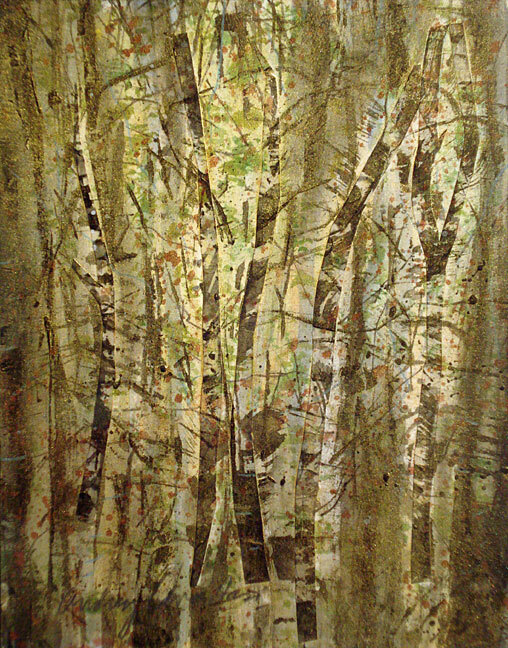 Collection Lanka-Barone. 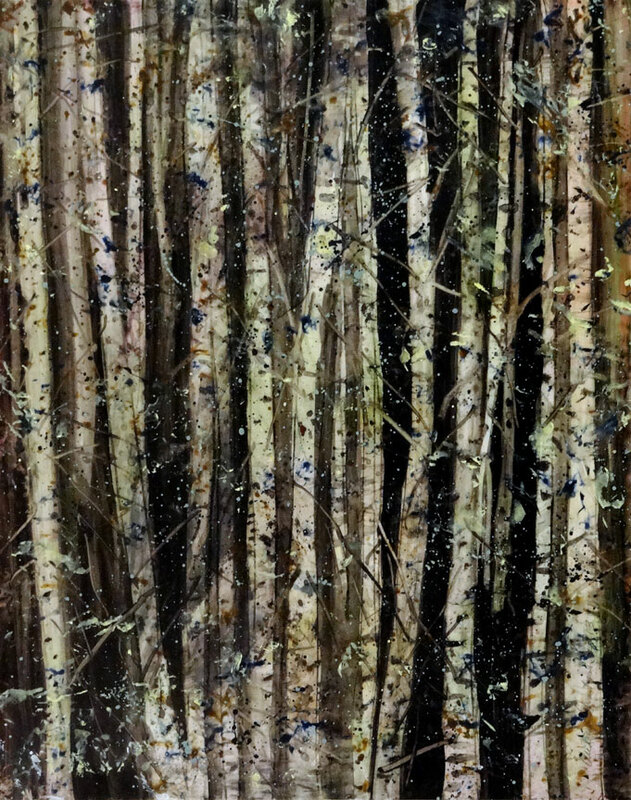 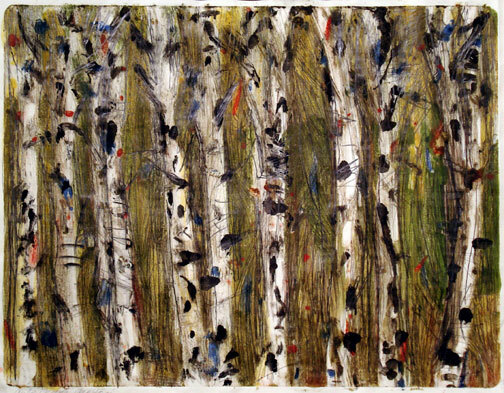 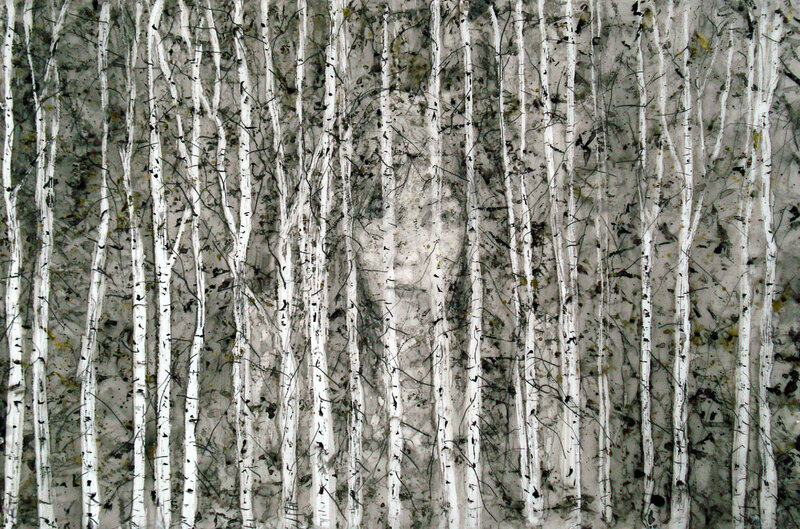 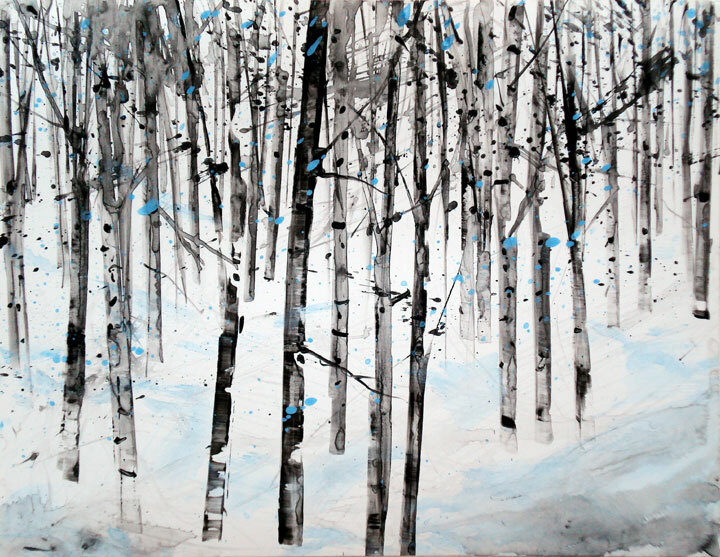 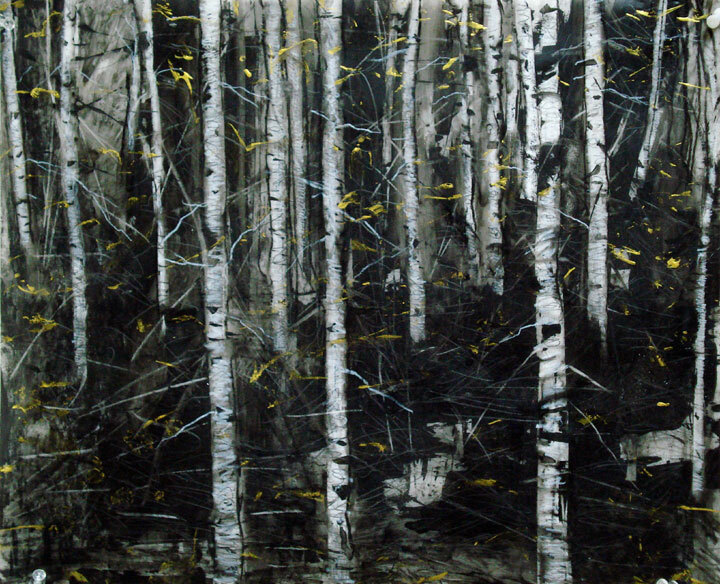 Even though the birch trees are recognizable images, I consider these works to be process oriented abstractions.